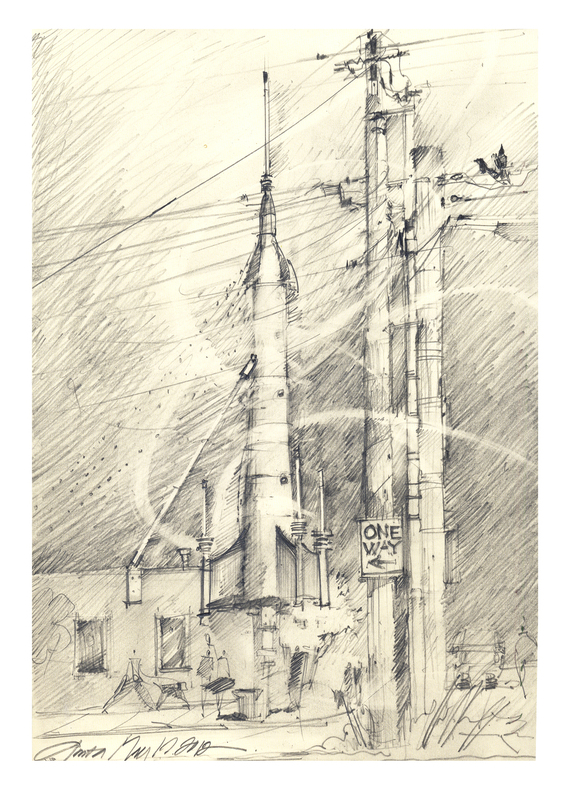 Sketching today in Fremont, looking at the rocket and thinking the telephone poles in the foreground were ‘want a be’ rockets; similar disposition. Light was changing; the sun in and out. five, four, three, two, one…blast-off!